With Firebase, we've been working towards a world where developers don't have to deal with managing servers and can instead build web and mobile apps with only client-side code. However, there are times when you really do need to spin up your own server. For example, you may want to integrate with a third-party API (such as an email or SMS service), complete a computationally expensive task, or have a need for a trusted actor. We want to make your experience on this part of your stack as simple as it is on the front-end. Towards that aim, we announced the Firebase Admin SDKs for Node.js and Java at the Firebase Dev Summit in Berlin earlier this week. 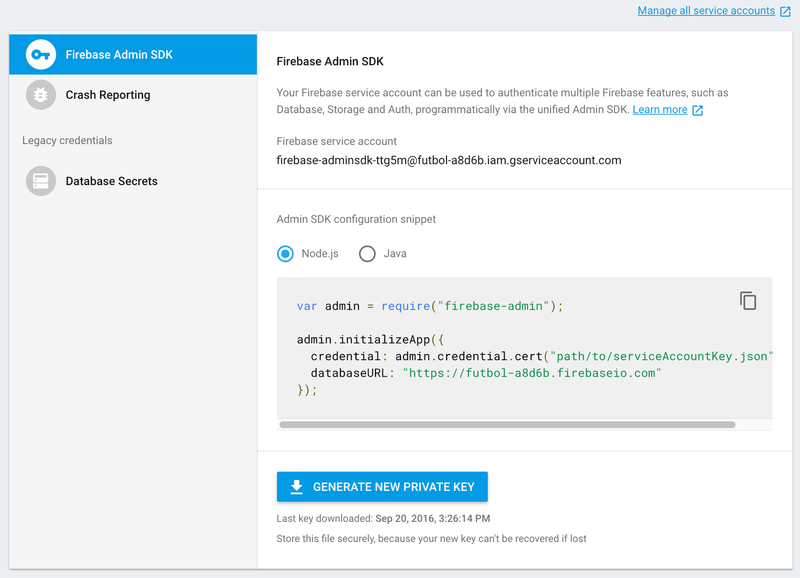 The Firebase Admin SDKs provide developers with programmatic, second-party access to Firebase services from server environments. Second-party here refers to the fact that the SDKs are granted elevated permissions that allow them to do more than a normal, untrusted client device can. The Admin SDKs get these elevated permissions since they are authenticated with a service account, a special Google account that can be used by applications to access Google services programmatically. The Admin SDKs are meant to complement the existing Firebase web and mobile clients which provide third-party, end-user access to Firebase services on client devices. Some of this may sound familiar for those of you who have used the existing Firebase Node.js and Java SDKs. The difference is that we have now split the second-party (aka "admin") and third-party (aka "end-user") access use cases into separate SDKs instead of conflating them together. This should make it easier for beginners and experts alike to know which SDK to use and which documentation to follow. It also allows us to tailor the Admin SDKs towards server-specific use cases. A great example of this is the new user management auth API which we will go into in the next section. What can the Admin SDKs do? Full read / write access to the Realtime Database. Ability to impersonate end-user access to the Realtime Database. Firebase Auth custom token minting and ID token verification. Admin API for managing Firebase Auth users, including the ability to fetch user data, create new users, update user properties, and delete users. You can do all of this without a user's existing password and without worrying about rate limiting. This has been a heavily requested feature from developers for years now and we are excited to finally put it into your hands. Auto-discovery of service account credentials on Google infrastructure like Google App Engine and Google Compute Engine. This means you don't need to manage service account credentials yourself. Instead, you can make use of Google Application Default Credentials to run the same exact code on your local, staging, and production environments, no configuration required. How can I get started with the Admin SDKs? The best place to start is with our Admin SDKs setup guide. The guide will walk you through how to download the SDK, generate a service account key file, and use that key file to initialize the Admin SDK. Thanks to our new Service Accounts panel in your Firebase Console settings, generating service account keys should be a breeze. 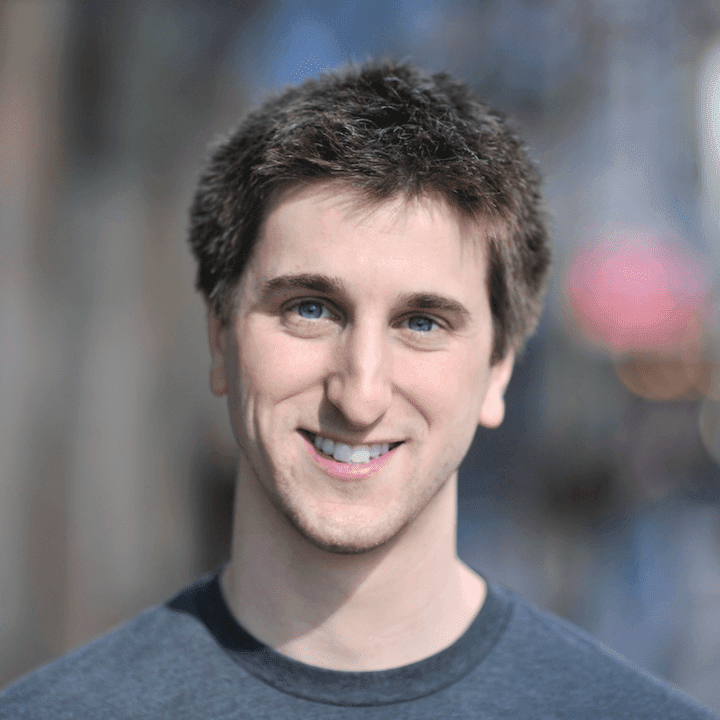 What's next for the Admin SDKs? This is really just the beginning for the Admin SDKs. We plan to expand the Admin SDKs across two dimensions. Firstly, we want to provide Admin SDKs in more programming languages, allowing you to write code in the language you feel most comfortable. Secondly, we plan to integrate with more Firebase services, including adding support for services like Firebase Cloud Messaging and bringing the new user management API to Java. Would you like us to build an Admin SDK in a particular language? Do you want the Admin SDKs to support a certain Firebase service or feature? Let us know in the comments below or by sending us a note through our feature request support channel. We are excited to expand our first-class support for backend developers in the Firebase ecosystem. Stay tuned for more to come in the future!